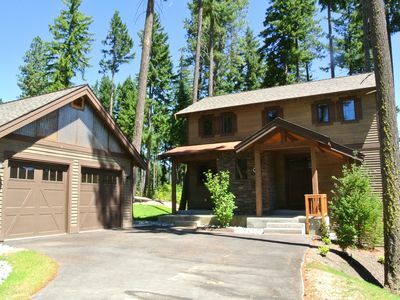 Cle Elum Home w/ Loft - Walk to Golf & Hiking! 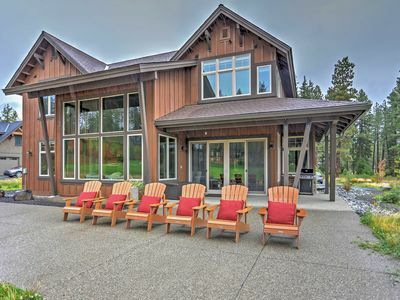 Experience the beauty and charm of the Pacific Northwest at this lavish Cle Elum vacation rental home. 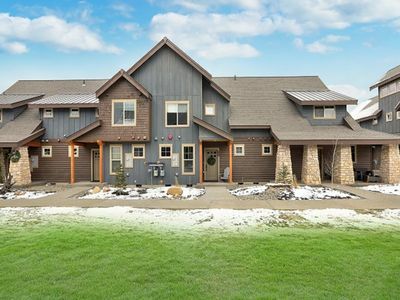 This 3-bedroom, 2.5-bath floor plan, complete with magnificent views and a furnished loft is ready for your next family gathering. 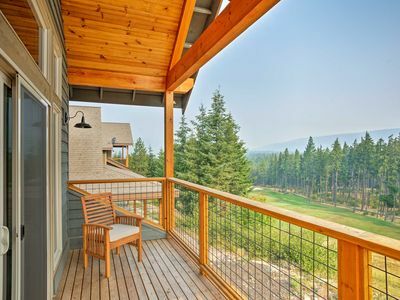 Your group of 10 will love that the backyard sits directly above the signature Prospector golf course and alongside the Suncadia trail system. 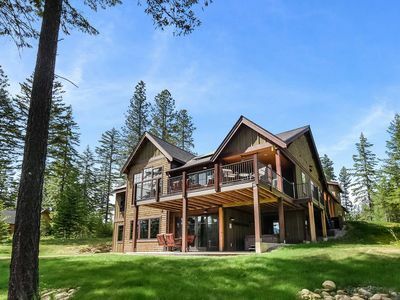 You'll be surrounded by towering trees and unique outdoor attractions during your stay in this 2,000-square-foot home. 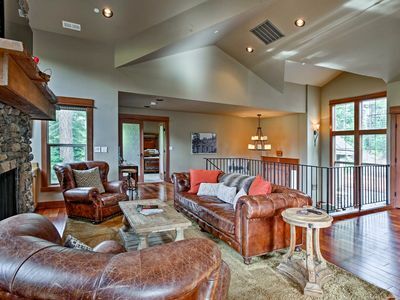 After a day of golfing, retreat into the living room and melt into the leather couch. 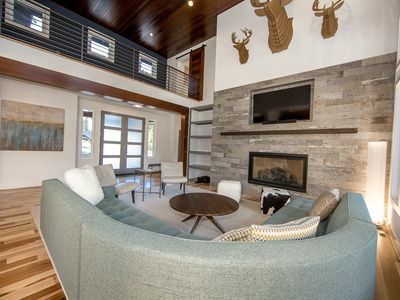 Complete with seating for 6, a gas fireplace, and a flat-screen HD cable TV, the living room is sure to be a frequent gathering space for your travel group. The fully equipped kitchen opens to the living area and features quartz countertops, a gas range, microwave, dishwasher, and a refrigerator. No matter what you choose to whip up with the stainless steel appliances, your friends are sure to be impressed by your 5-star creation. 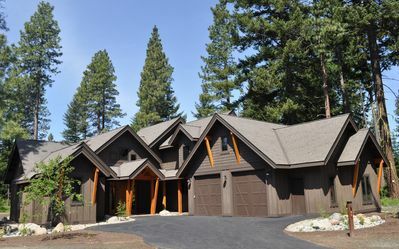 Since this home was built with family in mind, there are a plethora of places to wine and dine. 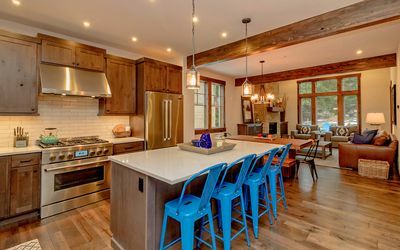 You'll have the option to feast at the picnic-style dining table, the kitchen island, or head at the picnic table on the covered patio for a barbecue with the gas grill. 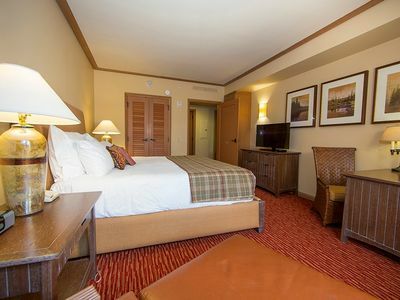 When it does come time to go to bed, relax in comfort in the large master bedroom with a queen bed, wall-mounted flat-screen HD cable television, private patio overlooking the valley, and private bathroom. Two additional guests will find comfortable sleeping accommodations on the living room's full-sized pullout couch. Traveling with kids? They'll look forward to retiring to the 3-story loft night after night. Complete with beds for 4, a foosball table, and 60-inch flat-screen HD cable TV, the loft is both a third bedroom and fun recreation space. 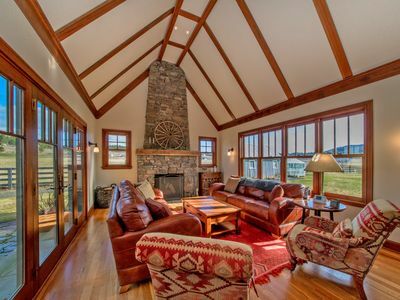 Since this home is located directly above the Prospector Golf Course, it's easy to channel your inner PGA prospect. The 7,100-yard, 18-hole golf course, offers gorgeous mountain views, rolling fairways, and numerous water features, making it perfect for players of all levels. 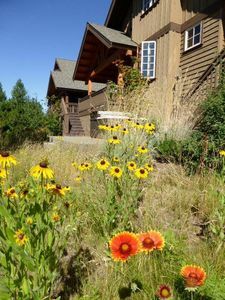 The Suncadia Trail system is also located a short walk from the property. 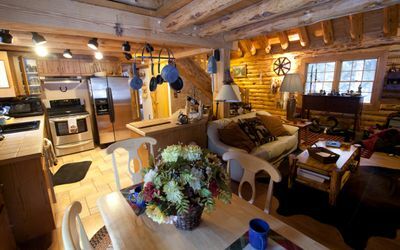 With over 40 miles of scenic trails, you'll be able to mountain bike, hike, walk, or ski with ease! Be sure to check out the Nelson Creek Fish Shed, located at the bottom of the Nelson Creek Trail! 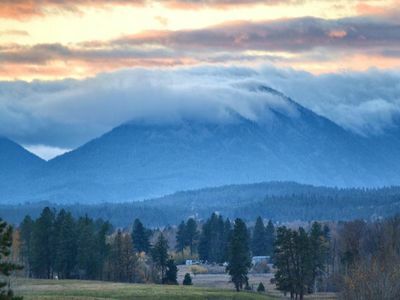 For even more outdoor fun, head to the Glade Spa, Inn, Lodge, and the Swiftwater Winery, all of which can be reached on foot, thanks to the home’s Suncadia Resort location. 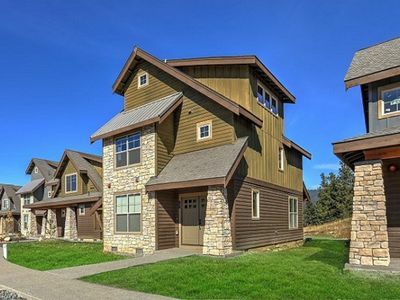 - Amenities include a fully equipped kitchen, balcony, 3 flat-screen HD cable TVs, stainless steel appliances, a gas fireplace, foosball table, furnished loft, free WiFi, parking for up to 3 vehicles, and much more! 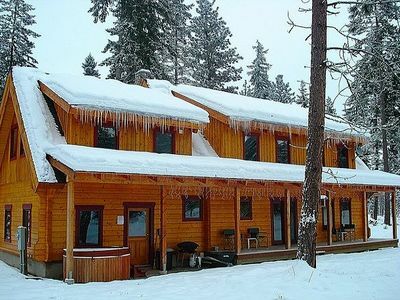 The Whispering Pines Cabin, Far away from the pressures and stresses of work! 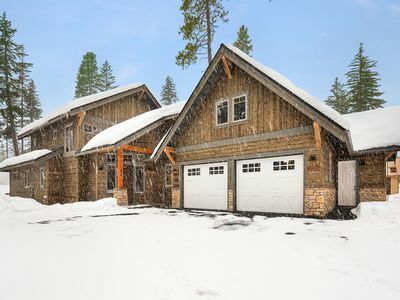 Spacious and Luxurious Ranch Style Home in the Heart of the Teanaway Valley! Great Views! Hot Tub! 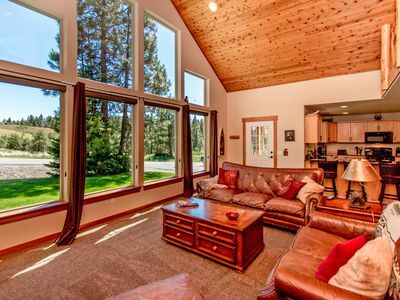 Direct access to the Yakima River and John Wayne Trail. 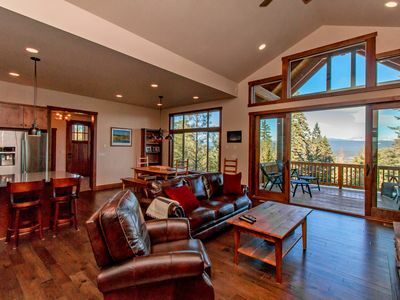 Suncadia Home close to Lodge/Winery/Golf 3br+loft sleeps 13. 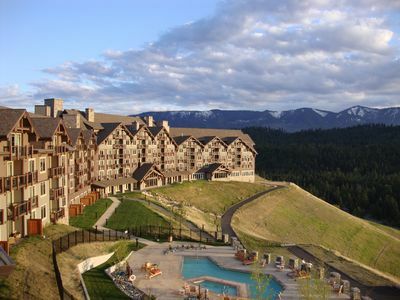 Large ‘7th Heaven Lodge’ on Suncadia Golf Course! Mountain Views! New Home Across the Street From the Swim and Fitness Center. Beautiful Views of the Prospector Golf Course and Steps Away From the Pool! 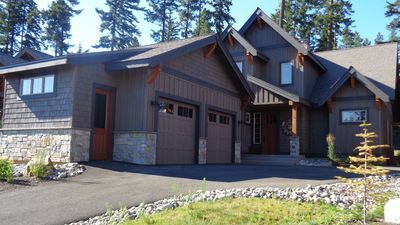 Brand NEW fully equipped Suncadia home w/Hot tub, Ping Pong, Foosball in Legacy!